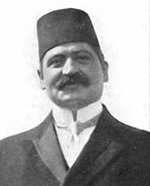 Talat Pasha was one of the leaders of the Young Turks and a leading member of Sublime Porte. He was assassinated on March 15, 1921 at 17 Hardenberg Strasse in the Charlottenburg district of Berlin by Soghomon Tehlirian. 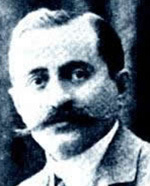 Tehlirian was captured and after a two day trial on June 2-3, 1921 was acquitted of all charges. 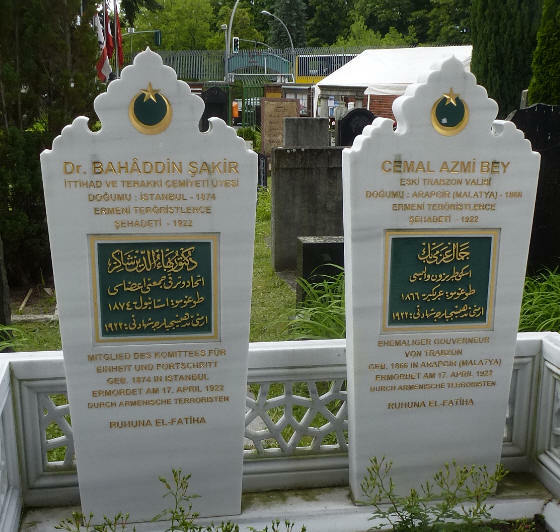 On February 25, 1945, Talat’s remains were moved from Berlin to Istanbul. 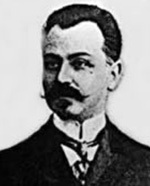 Djemal Pasha was one of the leaders of the Young Turks and a leading member of Sublime Porte. Due to his notorious cruelty he was known as Djemal the butcher. 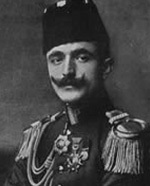 Enver Pasha was one of the leaders of the Young Turks and a leading member of Sublime Porte. 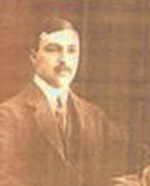 Dr. Bahaddin Sakir was a founding member of the Committee of Union and Progress. He was assassinated on April 17, 1922 in Berlin by Aram Yerganian. Cemal (Jemal) Azmi Bey also known as the monster of Trebizond was the governor-general of Trebizond. He was assassinated on April 17, 1922 in Berlin by Arshavir Shiragian. 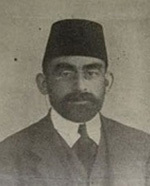 Bihbud Khan Jivanshir was the former interior minister of Azerbaijan responsible for the massacre of thousands of Armenians in Baku. 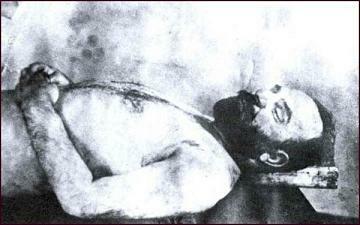 He was assassinated outside the Pera Palace hotel in Constantinople (Istanbul) on July 18, 1921 by Misak Torlakian. 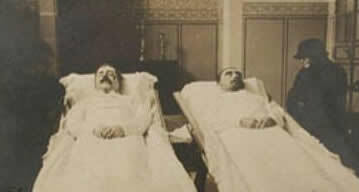 His accomplices for this operation were Yervant Fundukian and Harutiun Harutiunian. 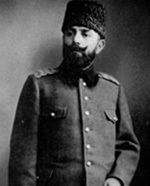 Torlakian was captured and tried by a British Military Court. A verdict of “guilty but not responsible” due to his mental condition at the time of the event was read on October 20, 1921. 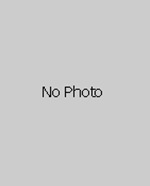 He was expelled to Greece and eventually moved to the United States. 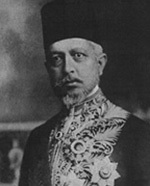 Said Halim Pasha was the Ottoman Grand Vizier from 1913-16 . He was assassinated in his horse carriage on Via Nomentana on December 5, 1921 in Rome by Arshavir Shiragian. 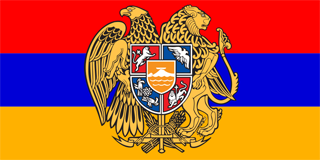 His accomplices for this operation were Michael Varantian the former ambassador of the Republic of Armenia to Italy and an agent by the name of “M”. Shiragian was not captured. Note: Some sources have his name as Harootoun Mugerditchian. 18 ? ? - 19 ? ?